Andrew Roderigue ties career mark as Panthers drop Messalonskee in Class B North. 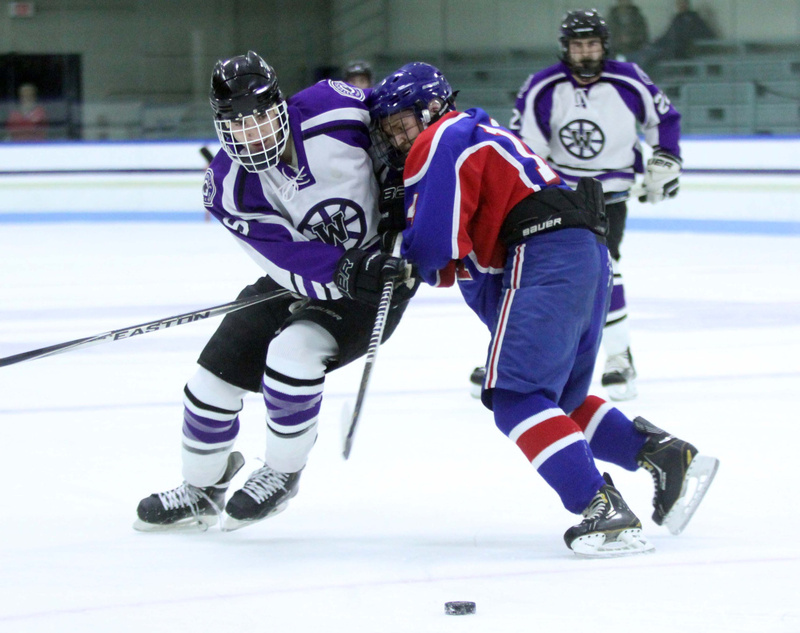 WATERVILLE — The Waterville hockey team is taking the fast-track approach to the top of the Class B North standings. Senior captain Andrew Roderigue enjoyed a three-point afternoon on Thursday to tie the school record for points in a career by a defenseman, and senior center Justin Wentworth recorded his second hat trick of the season as the Purple Panthers remained unbeaten with a 9-1 win over Messalonskee at Alfond Rink. 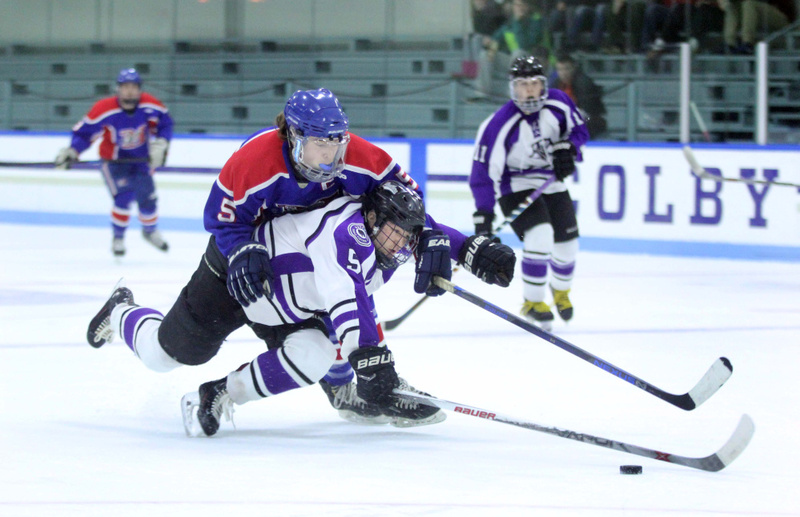 Six different Waterville skaters registered multi-point games, including Roderigue, who now has 105 career points to equal the mark set by by Chad Hart in 1999. For Wentworth, he now has 10 goals on the season to lead all players across all classes in the state. Jackson Aldrich and Zach Smith each added a pair of goals against Messalonskee (2-1-0), which got outstanding goaltending from Amber Kochaver (36 saves) in the defeat. Following a win over Yarmouth on Wednesday night in the same building, a rematch of last year’s Class B state championship, Waterville was able to check off two important boxes heading into the holiday break. In both the win over the Clippers and the Eagles, the Purple Panthers’ team speed was front and center — and the deciding factor in both victories. 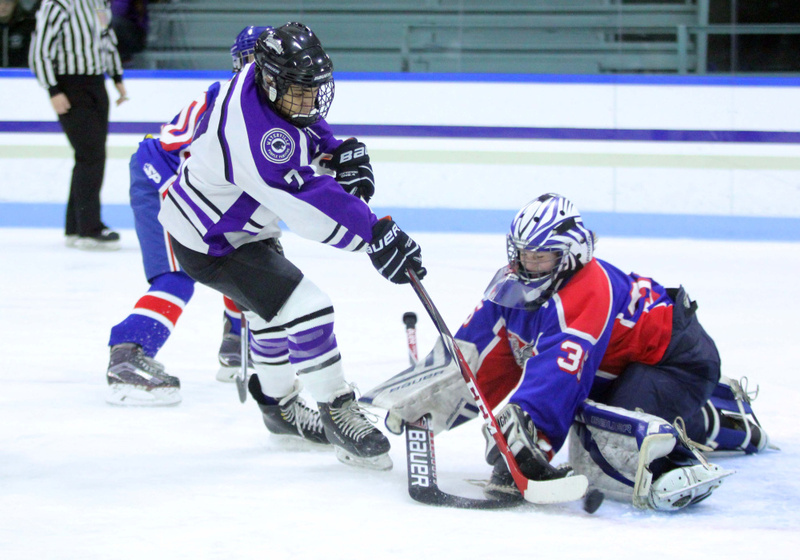 Waterville (4-0-0) plays fast, and it’s paying off in all facets of the game. The Panthers are forcing turnovers, generating massive shot totals and scoring in special teams situations. It took little time for Waterville to whip things into high gear, scoring twice in the first five minutes of the game. A bad Messalonskee turnover deep in its own end handed Wentworth the puck 10 feet inside the offensive blue line, and he needed little time to rip off a slapper that produced the game’s first goal just 58 seconds in. The Eagles’ inability to clear the zone cleanly reared its ugly head again less than four minutes later. Smith (2-1-3) corralled a wrap-around along the half wall on the right wing, and his short-side slap shot beat Kochaver cleanly for a 2-0 lead at the 4:53 mark. Nowhere was Waterville’s speed advantage more prevalent than during a long 4-on-4 stretch late in the period, and the momentum the Panthers created turned into Aldrich’s power-play goal at 11:33. Things didn’t get much better for Messalonskee after the break. Waterville scored four times in the middle stanza — with shorthanded tallies from Aldrich (2-2-4) and Wentworth bookending the period. Wentworth also potted a power-play strike as the Panthers built a 7-1 lead through 30 minutes. The senior center capped off his hat trick with a nice little change of direction backhander while down a man at 11:33. The lone break in the onslaught for the Eagles came off the stick of freshman Dylan Cunningham, who picked up a blocked shot at his defensive blue line and then held off a pair of Panther backcheckers to wrestle home the only Messalonskee goal of the afternoon. Wheeler and Roderigue added early third-period goals to close out the scoring. Roderigue’s goal came on the power play.